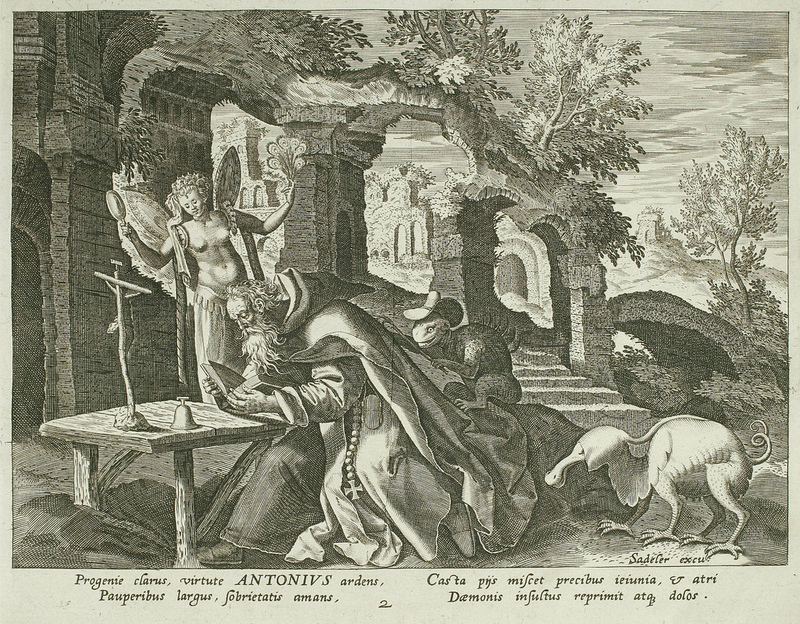 January 17th, in addition to being the day we honor Dr. King , is also the feast day of Saint Anthony the Abbot. 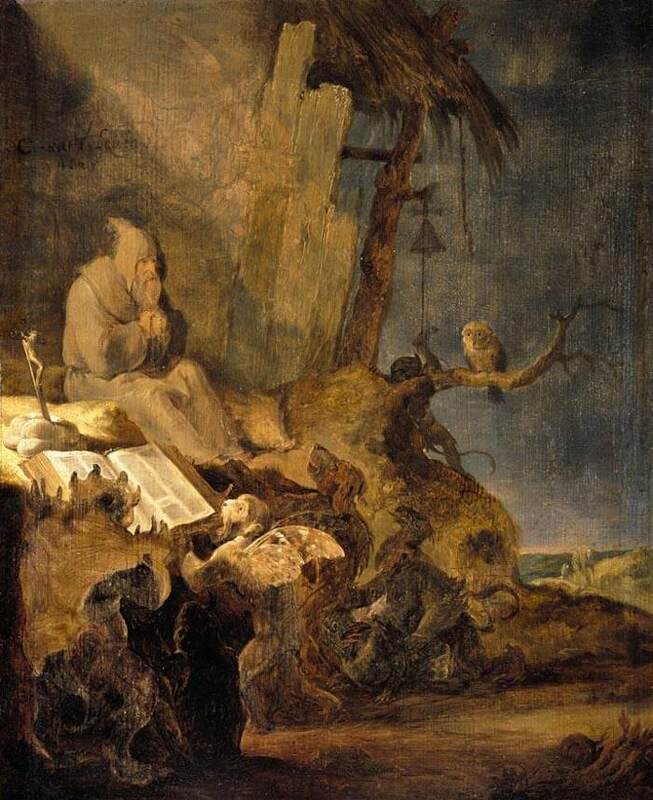 This Egyptian ascetic of the early church is best known to art lovers as the subject of countless variations upon the theme of Temptation of Saint Anthony . 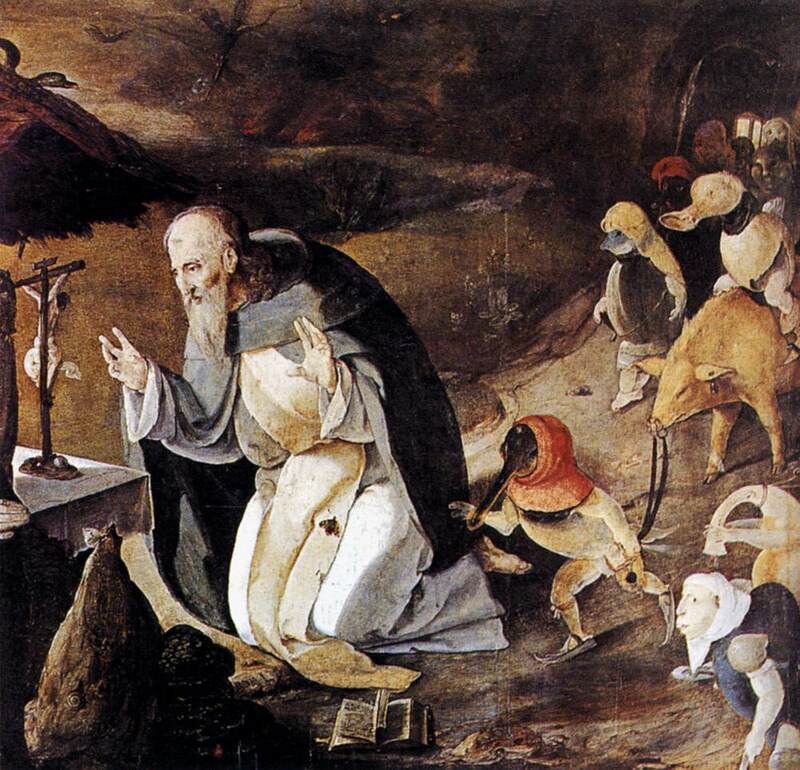 As the Epiphany provided artists with its Magi, gold and Orientalist glamour; so does the humble Anthony, with his sackcloth, skull and crucifix as his only protection, the dear hermit pitches battle with worldly temptation. Many artists(myself included) have attempted to capture with paint that familiar struggle to live a life of virtue and truth only to be confronted time and again by worldly desires and values. I’m not speaking of orthodox faith, I speak of the most mundane struggles, creating art vs. mindless internet searches, Tolstoy vs. True Blood. 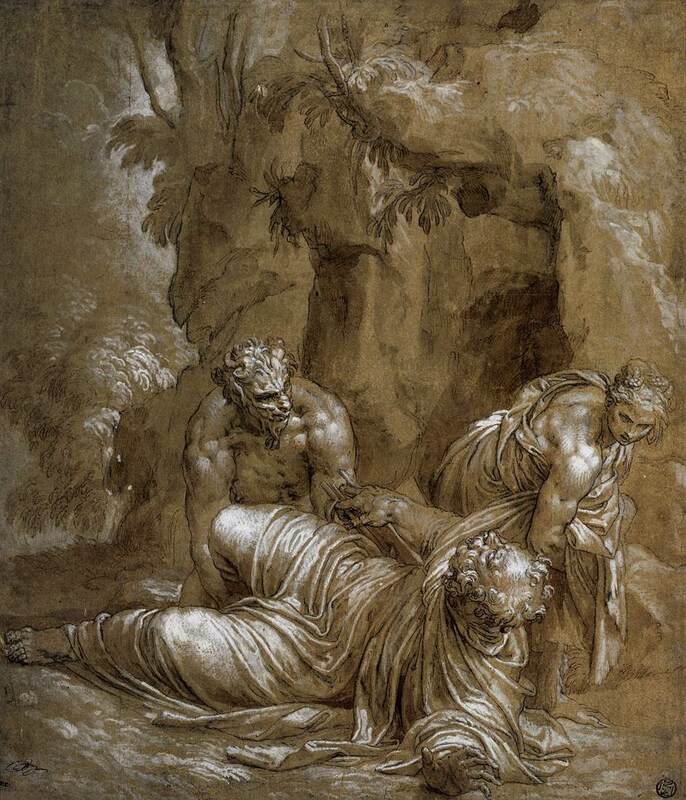 The theme of temptation is so rich, how does an artist resist depicting these wanton demons? Few do, Georges Mélliès was no exception. I really love this little film of 1898, he captures the spirit of the early depictions of the dear saint and his merciless vixens. 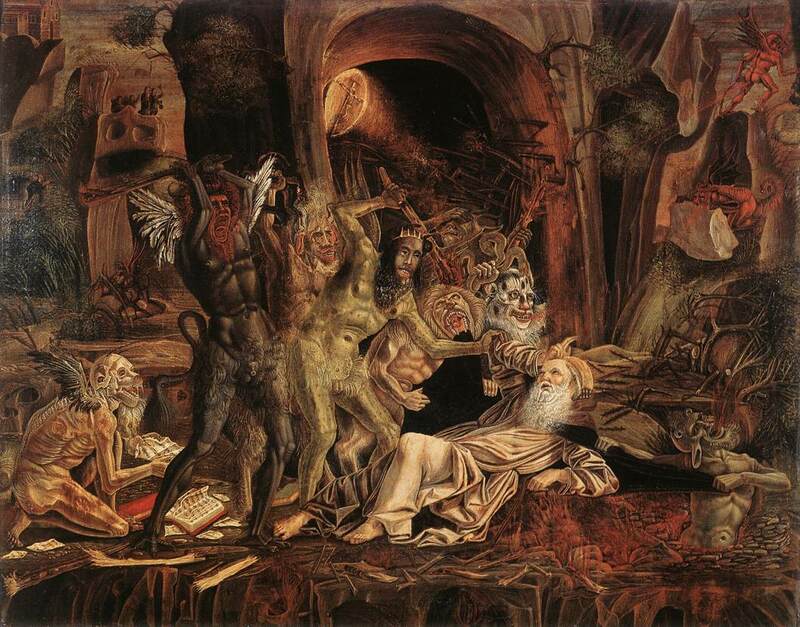 Really, has there ever been a more delightful version of The Temptation of Saint Anthony ??? I particularly love how he kisses the skull over the lusty temptresses. The following two paintings are so very close to the Mélliès interpretation that I am tempted to believe they might be inspiration. The final image, from an artist I am unfamiliar with, has taken full advantage of the monstrous delights offered by Lust, Greed and Avarice. 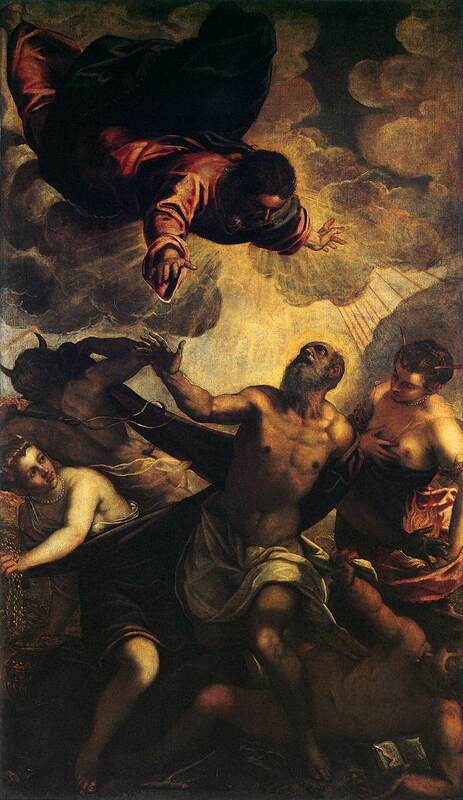 St. Anthony was known for his great desire to become holy, his attempts at holiness were to emulate his Savior. He is famous for saying “if you think me holy, become what I am , for we ought to imitate the good”. From a secular artistic perspective, I plan, as an artist to emulate the above mentioned masters in their desire to capture universal struggles and truths. I look forward to one day producing a Temptation worth presenting, perhaps next feast day. I submit this post a bit early, I must leave town for a family matter. I fear I am such a Luddite that I would n never be able to submit from my I-phone. So with that, I send early wishes for a happy feast Day of the Blessed Saint Anthony of the Desert. 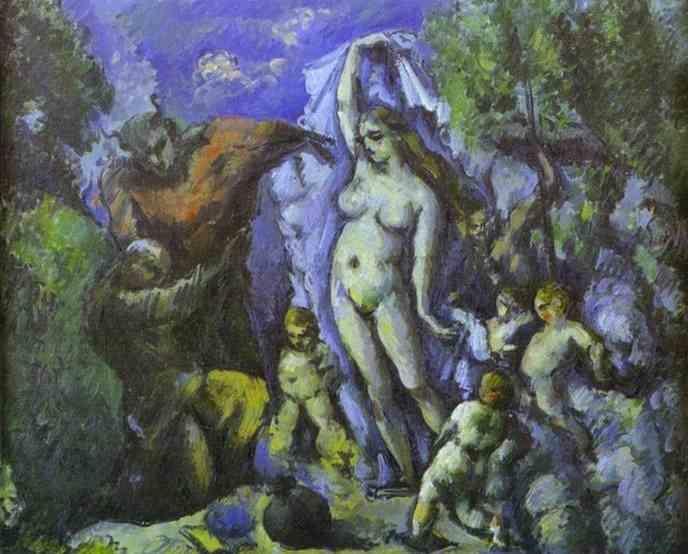 This entry was posted on January 12, 2011 at 7:29 pm and is filed under Cézanne, Georges Melies, Saint Anthony the Abbot, Tintoretto, Veronese. You can follow any responses to this entry through the RSS 2.0 feed. You can leave a response, or trackback from your own site. Wow, I’ve never seen that clip before. Love it! a lot goin’ on in under 2 minutes!